Meta Tags are an excellent way to tell the search engines about the content displayed in your webpages. Meta means data about data so meta tags play an important role in providing more data about the content displayed on the web pages. 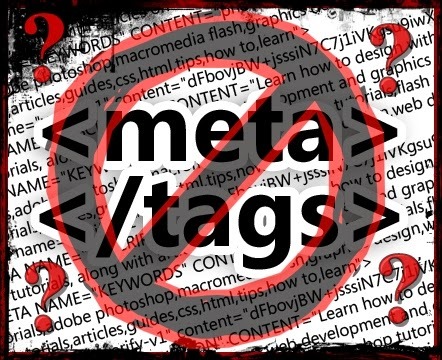 This post will provide details about the meta tags that are supported by Google. You may use these meta tags in order to enable Google to better understand the contents of any webpages. Make sure to use these meta tags as per the needs of your website. Incorrect use of the above tags might prove disastrous for the online visibility of your website. Title <title>The Title of the Page</title> This tag contains the title of the web page. Google displays the contents of this tag in the search snippet. Description <meta name="description" content="A description of the page" /> This tag contains a short description of the web page. Google displays the contents of this tag in the search snippet. Robots <meta name="robots" content="..., ..." /> This tag controls the behavior of the search engines. Any webpages can be prevented from crawling and indexing by the use of this tag. The mata robots tag is followed by all the search engines including Google. Googlebot <meta name="googlebot" content="..., ..." /> This tag is similar to the robots tag with the difference that this tag is created specifically for the googlebot. This means the other search engines will ignore the contents of this tag. Google <meta name="google" content="notranslate" /> This tag will disallow Google to provide a translation to the webpage if Google detects that web page's content is in other language that what the user browser behavior, location and language settings suggest. Google Site Verification <meta name="google-site-verification" content="..." /> This tag enables Google to associate the webpage with a particular Google Webmasters account. Content Type <meta http-equiv="Content-Type" content="...; charset=..." /> <meta charset="..." > This tag defines the page's content type and character set. noarchive: <META NAME=”ROBOTS” CONTENT=”NOARCHIVE”> prevents Google from showing the Cached link for a page. noimageindex: <META NAME="ROBOTS" CONTENT="noimageindex"> lets you specify that you do not want your page to appear as the referring page for an image that appears in Google search results. none: <META NAME="ROBOTS" CONTENT="none"> is equivalent to noindex, nofollow.